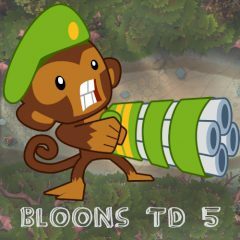 Place monkeys and other tools of defense to stop balloons. Don't let them pass by. The amount of balloons increase with each level, so your defense must get improvements. Win levels and upgrade monkeys and tools for the next stage.